There are some important skills that every boat owner should possess. 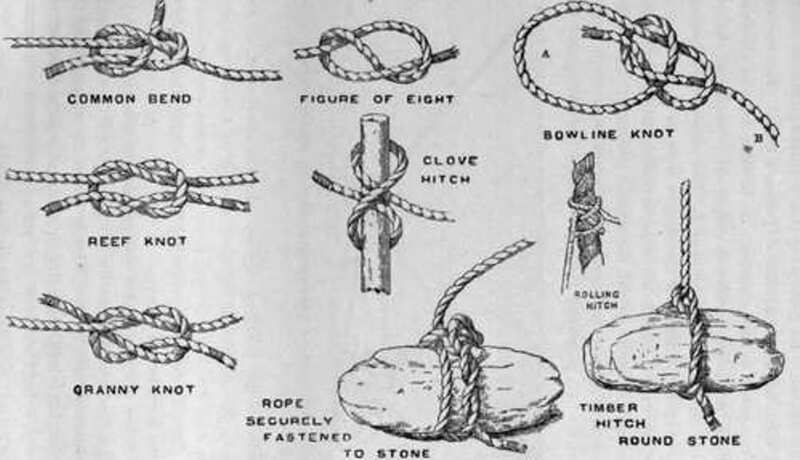 Knowing which knot to use, and how to properly tie it, can be vitally important in tight situations, or in non-conventional docking circumstances. Ropes, tie-offs, cleats, tie-piling and towing all require specific knowledge about knots. This knot is often referred to as “the king of knots” because of its importance and variety of uses on a boat. This versatile knot creates a fixed loop on the end of the rope that can be used for hitching, mooring, or lifting. With some practice, it is easy to tie and untie quickly. The clove hitch is a simple, all-purpose knot that is quick and easy to tie. It makes for a good binding because it is designed for light vertical pulls. It is an ideal means of securing fenders to a rail. When using this knot, be cautious because it is not very secure on its own. 3. Square knot (reef knot). The square knot is a simple, quick knot used to tie two ends of a single line to bind around non-critical objects. The square knot comes untied easily and is not as strong as a sheet bend. It should not be trusted to join two ropes together effectively, like a bowline can do. Be sure to use two ropes with the exact diameter when using this knot. This is one of the most widely utilized knots that boaters use to tie watercraft to a static dock, floating dock, or boat lift. A proper cleat hitch is easy to tie and very effective. It can be released under load without someone taking a chance of losing a finger in the process. 5. Figure-Eight Knot (stopper knot). A figure-eight knot is a firm, non-slip loop at the end of the line. The figure eight is good for making a “stopper” knot in a single line in order to prevent the line from slipping, even if the figure eight comes up tightly on the block, it doesn’t bind. It is not only used by boaters but by rock climbers as well. They use it to hold their climbing gear because it is so strong.